Most patients find that a series of three to five 30-minute treatments spaced at three to four week intervals is an ideal treatment schedule. 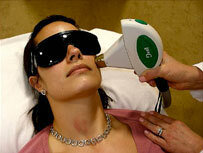 Actual Patient: IPL ™ photo facial being used to reduce brown spots caused by the sun. 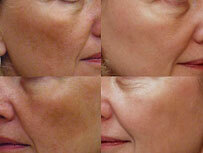 This patient had brown spots from sun damage treaded with a series of IPL photo facial treatments. 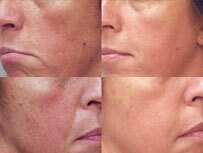 Patient had IPL treatments to reduce brown spots and red dilated blood vessels caused by sun damage and skin exposure. Contact our cosmetic surgery practice to schedule a consultation.